We are beginning a new project for a group exhibition at MASS MoCA in 2015. We’re filming it inside the large coal bin in their Boiler Plant Building, which provided power to the entire campus before this factory became a museum. 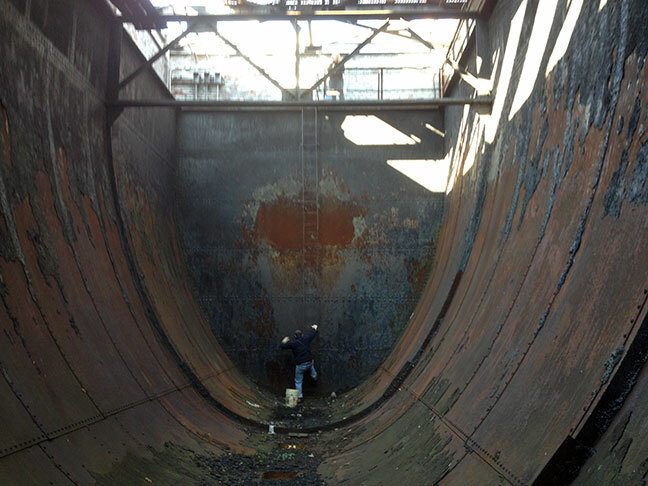 Our project engineer, Sam Hogg, is measuring all components of the bin, a massive steel container that held the coal that powered the furnaces.